Prominence i-Series, the fully integrated HPLC with UV or PDA detector assures total reliability and exceeds expectations on all parameters.The i-series is the perfect system for a number of applications such as qualitative and quantitative analysis in a wide range of industries such as pharmaceuticals, chemicals, foods and the environment.Spinco Biotech has been the most favoured HPLC supplier in India, having crossed many milestons in supporting users of Shimadzu HPLCs since 1983. 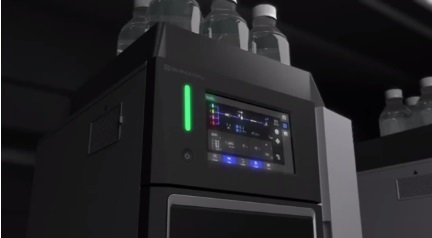 With the i-Series Plus HPLC auto-validation function, anyone can follow a set procedure to examine solvent delivery stability, wavelength accuracy, absorbance accuracy, gradient accuracy, the presence of any drift/noise, and other parameters. In addition, a system check function automatically performs the routine inspections performed before using the instrument and creates a report indicating system self-diagnostic results and a record of consumables used, such as the total solvent volume delivered by the delivery pump, the number of auto sampler injections, and the number of hours the lamp has been illuminated. The entire series of operations involved in analysis can be automated, from system startup, mobile phase purging, column equilibration in preparation for starting measurements, and starting the analysis to shutting down the system after analysis. ICM (Interactive Communication Mode) feature enables the operator to edit and start analysis methods and batch files from the i-Series Plus. i-Series Plus HPLC enables the use of a flow line switching valve that permits up to six columns and four mobile phases to be switched automatically for analysis and to obtain optimum conditions for separation. 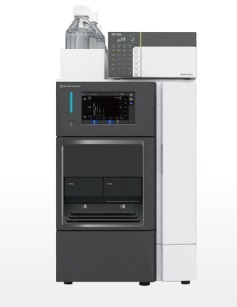 i-Series Plus HPLC system capacity is highly compatible with other systems, and analytical methods can be transferred with ease from other vendor systems. An optional kit can also be used to make i-Series Plus HPLC compatible with Shimadzu's previous LC-2010 series, reducing the work involved in migrating existing analytical methods. Gradient start time adjustment function (ACTO) available in the i-Series Plus HPLC helps in maintaining method compatibility with other models of HPLC, in line with USP <621>. Even when instrument models have different gradient delay volumes, analysis can be performed with the USP method without replacing the piping etc. i-Series HPLC Solutions Package encompasses pretreatment methods, analytical conditions and printout of judgment results. The kit supports workflow automation with a CD-ROM containing optimized pretreatment methods and analytical conditions for target components and analytical columns that allow for direct sample analysis without need for any method development. The mycotoxin screening system detects mycotoxins with high sensitivity at concentrations specified by EU standards. Antimicrobial system includes a pre treatment method that minimizes the influence of contaminant components in meat and enables screening of 24 synthetic antimicrobials in meat that are regulated in many countries.